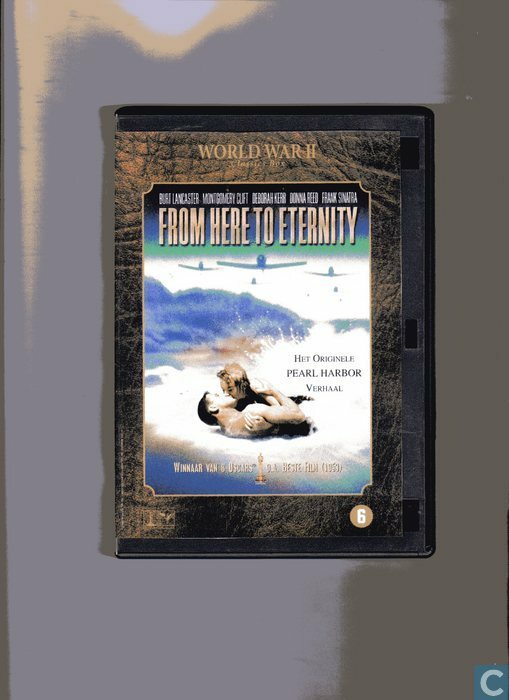 Borgnine, Ernest: Information on the Catawiki site about From Here to Eternity, 2004. Akins, Claude, Borgnine, Ernest, Clift, Montgomery, Jones, James, Kerr, Deborah, Lancaster, Burt, Reed, Donna, Reeves, George, Shaughnessy, Mickey, Silvani, Al, Sinatra, Frank, Warden, Jack, Wilke, Robert J. Extra's: Bioscooptrailer, promotietrailers van "The Bridge on the River Kwai" en "On the Waterfront", audiocommentaar van Tim Zinneman, zoon vam de regisseur, filmografieen van cast en crew. 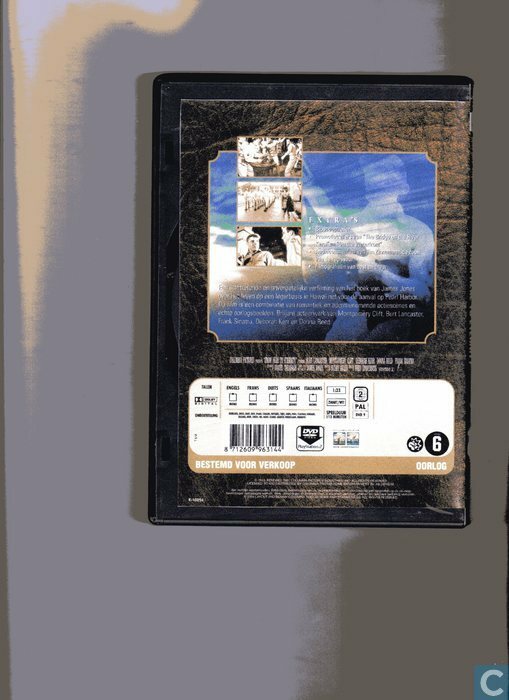 Deel 2 en 3 uit de World War II Classic's box zijn: The Guns of Navarone en The Bridge on the River Kwai.